You can blame Locke for that middle panel. The things he makes me draw! Unbelievable. This entry was posted on Monday, May 28th, 2012 at 12:00 am and is filed under Comics. You can follow any responses to this entry through the RSS 2.0 feed. Both comments and pings are currently closed. Somehow i had a feeling this would happen. 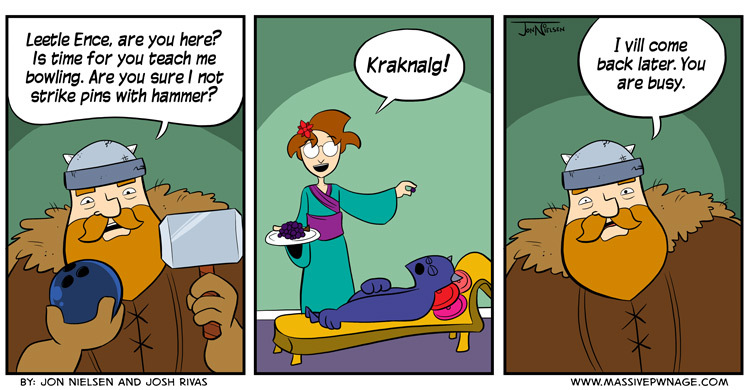 I was anticipating Kraknalg to do something more destructive, but time will tell. do not lie, you love drawing what comes out of locke’s mind.